What if dreams are more than dreams? 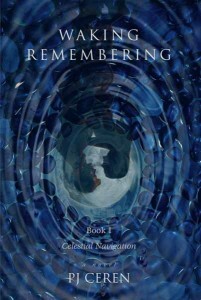 Waking Remembering is a magical realism novel – the first in a trilogy – that is historical fiction, love story and spiritual quest. Woven through history is a love that is remembered and built upon through the centuries. A great passion spreads through generations in some undeniable memory in the flesh, and also reappears in new lives from distant places. A mystical connection draws couples to join them again and again. This remembering travels both ways in time, existing in that place beyond time where love lives. There are vague memories and subtle warnings and communications between individuals separated by centuries. Lives weave together throughout more than five hundred years, paralleling contemporary events. Religious intolerance, fear and greed generate the Spanish Inquisition and the religious wars in Europe that reach a decisive moment with the defeat of the Spanish Armada. Ninety-six years earlier, in the same year that Ferdinand and Isabella sent the three ships that discovered the New World, Spain’s power had begun to weaken with the expulsion of the Jews and Muslims. The wisdom and skills of the Islamic and Jewish citizens had helped make Spain what it was, but fear caused the end of that golden age. These two critical points in history and what follows are the setting for this novel. The story opens in Spain in the 15th Century, with Jewish, Islamic and Christian children playing together as innocents without prejudice or fear. Throughout the book, there is an underlying theme of Hope and Faith manifested in mystical ways. This faith lives in ancient Celtic traditions, as well as Jewish, Islamic and Christian forms, both Catholic and Protestant. Truth is truth, no matter what form it chooses to wrap around itself. Love empowers characters and transforms them into their best. The world of nature comes to their aid in miraculous ways, while enemies who are treated with compassion become allies. There are no greater mysteries than time and consciousness and the memories that connect us to the whole of our lives and beyond. The déjà vu and vague precognitive experiences that all of us have felt to some degree are the tip of the iceberg of this mystery. The supernatural in our lives is sometimes liberated by powerful emotions like love and fear. We all are familiar with stories about mothers who have sensed when their children are in danger, or when a loved one is in crisis. There is an undeniable connection that doesn’t fit neatly into our view of everyday physical life. There is a larger world we glimpse as we timidly awake. 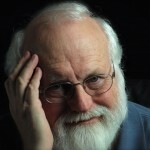 PJ Ceren’s writing reflects his lifetime of experience observing and communicating as a professional photographer and videographer as well as his work as an explorer of the emotional mind as a senior analyst for a national psychological research company. He is also the author of the novel, Joseph: Everyone knows who he is, but nobody knows who he was.